The Caloundra beachside market has seen a resurgence in property prices during 2017 especially in Moffat Beach, Dicky Beach and Shelly Beach. This is great news for home owners in these areas. This property growth comes off the back of significant real property growth in the wider Caloundra region, with real estate prices in Moffat Beach Dicky Beach and Shelly Beach now on par with their pre-GFC price peak. If historic patterns provide a window into the future, one thing is for certain with all asset markets, is that after a significant period of price correction, they always moved past their pre-correction price levels creating a new benchmark. This is proving to be the case across Caloundra and most certainly for real estate in close proximity to the coastline. The Sunshine Coast and Caloundra are blessed with a stunning year-round climate which is ideal for active outdoor living. 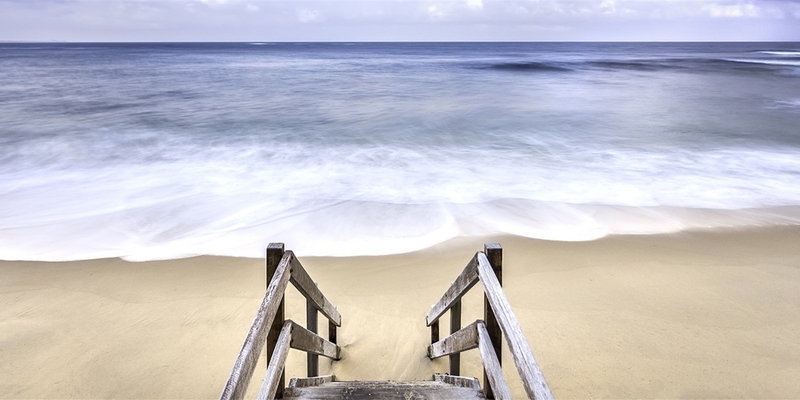 It is this lifestyle that draws people to the region being able to walk to the beach is high on the list of requirements for many real estate buyers from overseas or southern states. Australians have always had an affiliation with beach culture and never more so than when it comes to real estate with nearly all the glamour properties spread across magazine covers across the country featuring ocean views or beach vistas, there is something to be said about owning a home by the sea. So where is the market heading and how have Moffat Beach, Shelly Beach and Dicky Beach performed year on year for 2016 and 2017, does the sales data show a real strengthening of the market? What does the data predict for 2018 and beyond? Well if you are a property owner in these beachside suburbs the future is looking good for real price growth through the short and medium term, alternatively if you are looking to secure real estate in the beachside areas of Caloundra time could possibly be your worst enemy, with stock levels tightening at a rapid rate placing real upward pressure on property prices. This tightening of supply is being felt right across the Caloundra region which has proven lucrative for home owners and has been a blessing for those looking to sell their real estate during 2017. On 28 occasions in 2017 our team of Caloundra real estate agents have negotiated a property sale for our vendors that has set a new street record for residential real estate sales and on two occasions set an entire suburb record. This is a clear indication of real property growth coming from the coal face. Another future growth indicator is the current rental vacancy rate across our 450-property rent roll which currently sits at less than 0.5%, this is unheard of even during the strong market of 2004 to 2008. A significant number of the record real estate prices achieved by our team at Harcourts Caloundra have been set in the beach side market, with more than 70% of our current buyer enquiry for Moffat Beach, Shelly Beach and Dicky Beach coming from the wider Brisbane area or south of the boarder in NSW, Victoria and even Western Australia, proving that Caloundra is well and truly on the radar of interstate property buyers. With the Sydney and Melbourne markets slowing from their peaks of late 2016 and early 2017, southern buyers are looking to South East Queensland where a huge number of significant infrastructure projects are driving job growth. This is flowing through to property demand placing upward pressure on real estate prices. With the current Brisbane median house price sitting at $490,000 compared to Sydney at $905,000 and Melbourne at $710,000 (Corelogic November 2017). South East Queensland represents the country’s best real estate value and also has some of the country’s highest residential real estate yields. Therefore, based on the current vacancy rate and the looming lack of future new housing supply across the region, rental yields will only increase over the coming 12 months and into the future. Moffat Beach, shelly Beach and Dicky Beach offer very limited opportunity for new land and it is this lack of availability that places real upward price pressure on existing homes as those moving to the region try to claim their own slice of beachside real estate. Lets take a look at the data for each of the three suburbs starting with Moffat Beach. Moffat Beach had a significant amount of property transactions during 2017, however the volume of real estate sales in the suburb is well below those of 2016. With 57 real estate transactions in Moffat Beach so far this year as of 10th November, compared to 73 property sales over the same period during 2016. This shows a legitimate decrease in the volume of sales of 22% and it is this reduction in supply that will place definite upward pressure on property prices over the coming 12 months within the Moffat Beach area. The market of any suburb is driven by the top end, which creates a ceiling in property pricing which all other real estate in the area is measured on. There has been 6 sales above the $1,000,000 mark so far this year in Moffat Beach compared to only 2 during the same period of 2016 with the highest sale of 2016 being $1,430,000 compared to 1,455,000 so far this year. The interesting numbers for Moffat Beach come from the bottom end of the market. In any market it is the bottom end that experiences the first sign of real price growth and this has never been more evident than in Moffat Beach over the past year. During the same time year to date for 2016 there were 31 real estate transactions under the $500,000 mark compared to only 16 so far for 2017. This is a staggering 49% reduction in the bottom end of the market and is clear proof the market is moving north rapidly within the Moffat Beach area. With the continued tightening of supply and increasing demand coupled with record low interest rates this real price growth should work its way through the mid-range of the market during 2018 and place real pressure on top end property prices by 2019. The Data for Dicky Beach shows that there has been a total of 42 property transactions so far for 2017 compared to 45 for the same time period of 2016. This shows only a modest retraction in sales volume of 6%. The bottom end of the market shows an equal number of sales under $500,000 year on year with both 2016 and 2017 producing 19 sales in the bottom end. What is interesting is that during 2016 there were 6 sales above the $1,000,000 mark with two above the $3,000,000 price point and the highest sales being $4,000,000. 2017 shows a similar result with 5 sales above the $1,000,000 mark and the highest sale being $3,700,000. This date shows the strength of the top end in Dicky Beach with no shortage of buyers above the million-dollar mark. Dicky Beach is currently experiencing a vacuum of property supply and with the suburb proving popular with interstate and Brisbane buyer’s prices in the middle of the Dicky Beach market should see significant growth through 2018 as real estate buyers are placed into competition for what little stock agents can bring to market. 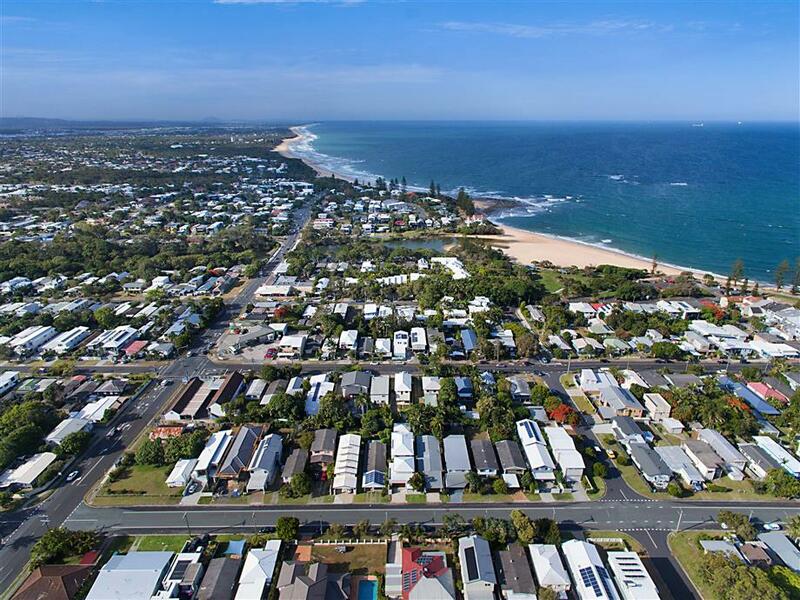 Shelly Beach is Caloundra’s sleeping giant with a large portion of the quality property having never tested the market. This extremely tightly held suburb may produce some staggering results over the coming years as many of the original residents reach the age where selling may become an option. The data for Shelly Beach is always very difficult to determine trends due to the extremely tightly held nature of the suburb where very few sales occur each year. The data shows a continued low volume of sales which proves that Shelly Beach is such a stunning location as very few people choose to come to market. 2017 has seen only 26 sales so far in Shelly Beach compared to 22 over the same time period of 2016. What is interesting is the high average sale price with only 2 sales under $500,000 year on year for 2016 and 2017. What is important to note is that a whopping 31 percent of all sales in Shelly Beach for the same time period of January to November in 2016 were above the $1,000,000 mark. During 2017 that increased with a huge 42% of real estate sales in Shelly Beach achieving $1000,000 dollars or more. With the supply of property retracting we can only foresee a continued reduction in the volume of real estate transaction with in the beach side market moving forward though out the remainder of 2017 and through 2018. This increasing lack of volume will, without doubt put upward pressure on property prices. Overall the outlook for property prices and residential real estate yields with in these suburbs looks extremely positive. With interest rates remaining low and the increase positive media coverage of the region now more than ever is a great time to own real estate in these stunning suburbs. Should you be considering investing into the Moffat Beach, Shelly Beach or Dicky Beach property markets and require more information please feel free to contact our team at Harcourts Caloundra. Alternatively, If you are a property owner in these areas or the wider Caloundra region and you are wanting to know more about the market and pricing specific to your property and suburb please contact us and we will provide you with a detailed market appraisal relating specifically to your property.